Our intended travel date was fortunately within Elipsos' remaining time of operation. 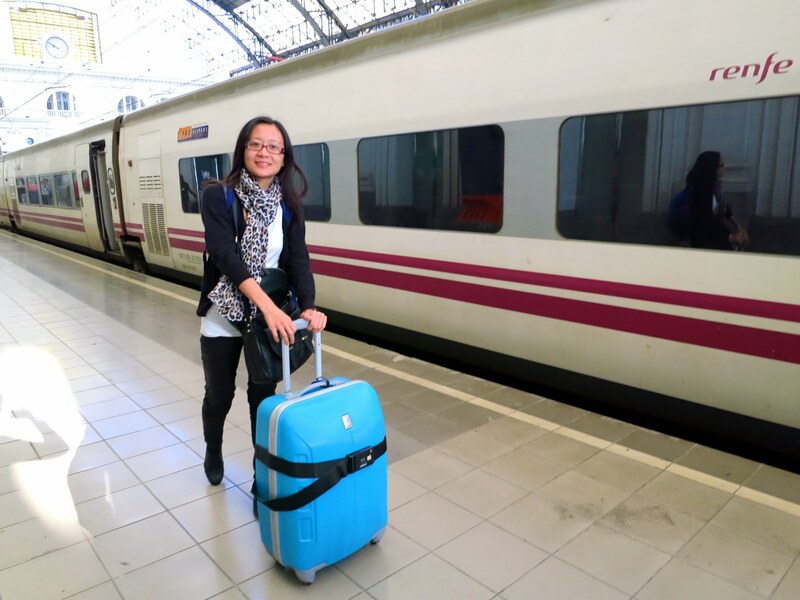 Last December, they had ceased their overnight train from Paris to Barcelona, concentrating instead with their daytime schedules albeit in a much faster train. 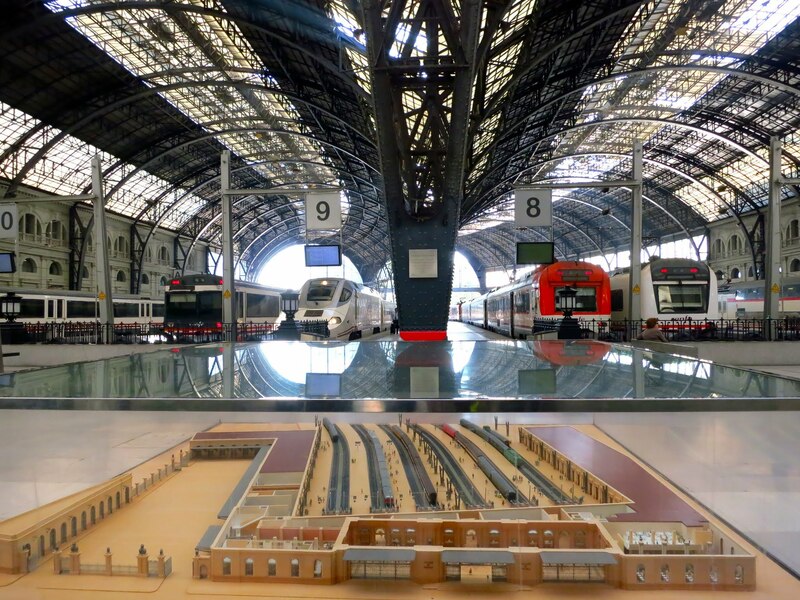 Elipsos is a company co-owned by both Renfe (Spain's national railway) and SNCF (France's national railway) to address the transportation needs between the two neighbouring countries. It was a gruelling overnight travel inside a muggy old train with a heater that functioned well more than necessary. To make it worse, the stingy us had settled on reclinable seats. In hindsight though, there were also several others with the same fate who survived the journey. There was even one man in our train car, who snored all throughout the night, making it uhm... worst. Yeah, it was indeed high time for them to make way for newer trains that can cut back the travel time into just merely over 6 hours. 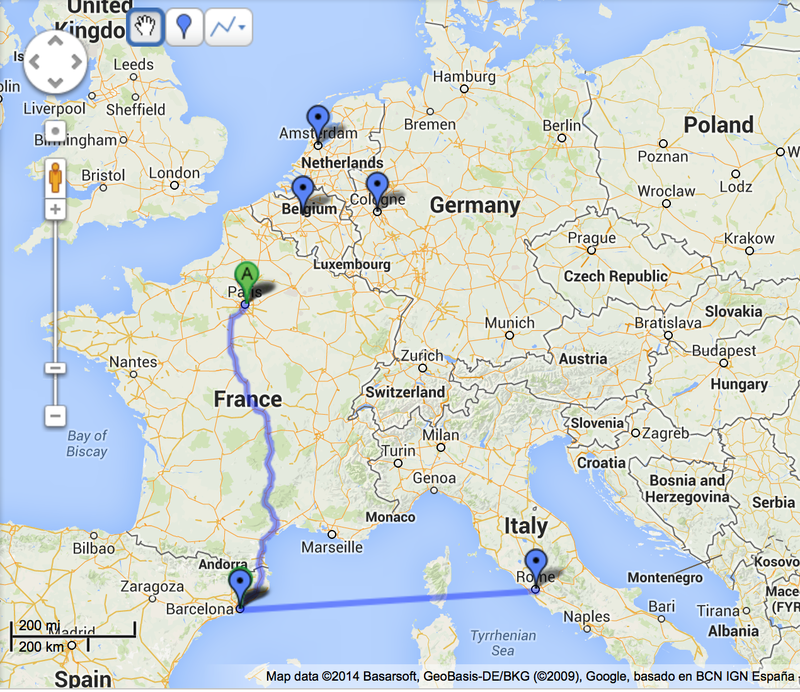 Insanely amazing for a distance of over 1,000km! To take advantage of the convenience of this highly advanced era, I directly booked through Renfe's website, summoning my non-existent Spanish language skill. Don't fret though. They have an English option. Otherwise, if you are well-versed in French, you can book through SNCF's website as well. I paid through my credit card and that worked without a hitch. After my payment was successful, the tickets were conveniently sent to my email for me to print out later. Hurrah for this pure ingenuity! 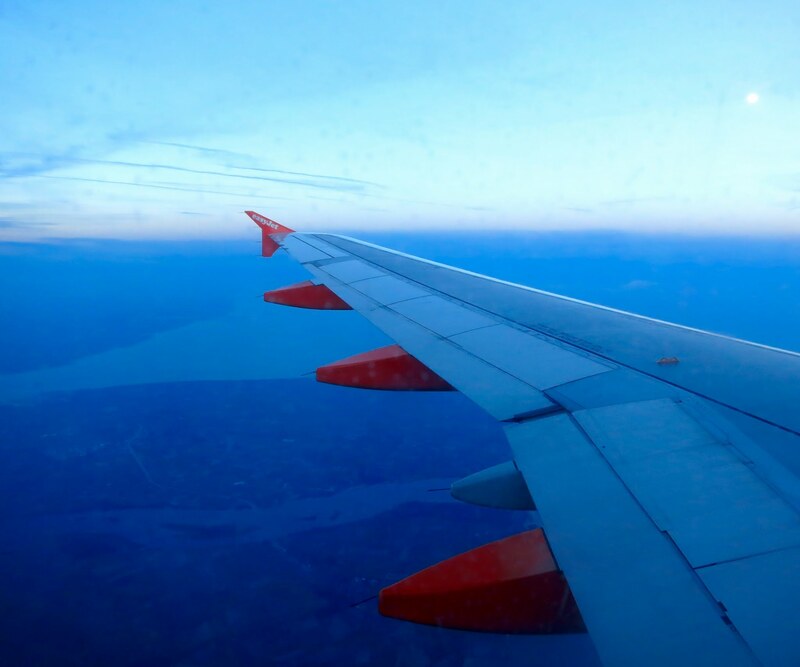 After settling in Barcelona for 3 days and having well recovered from jet lag and that epic of a train ride, we then hopped on a Spanish budget airline to get ourselves to Rome. Of course, when listing down the countries, it is apparent that I also considered if a reasonable transport is feasible. Reasonable meant cheap and with good timing. 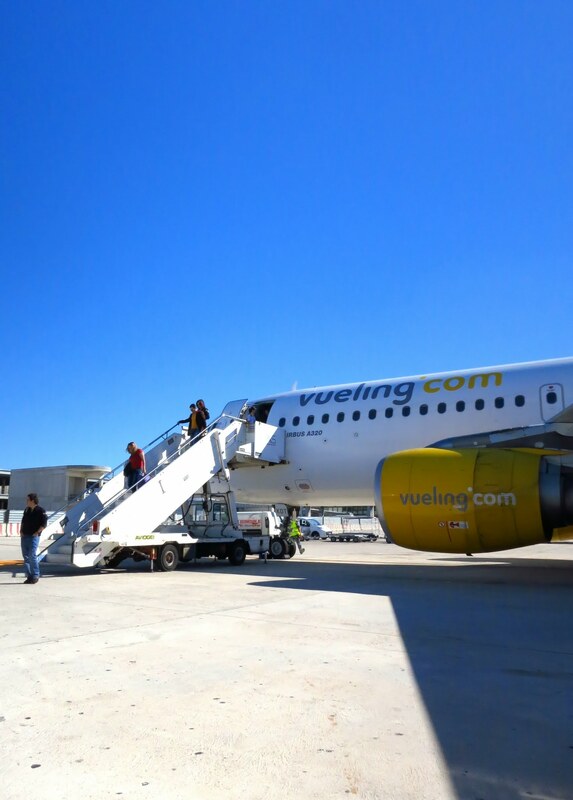 Similarly, I directly booked with Vueling Airline's website and again, using my credit card. One important thing to note is that we bought our luggage allowance on top of the plane fare, in contrast to riding in trains. 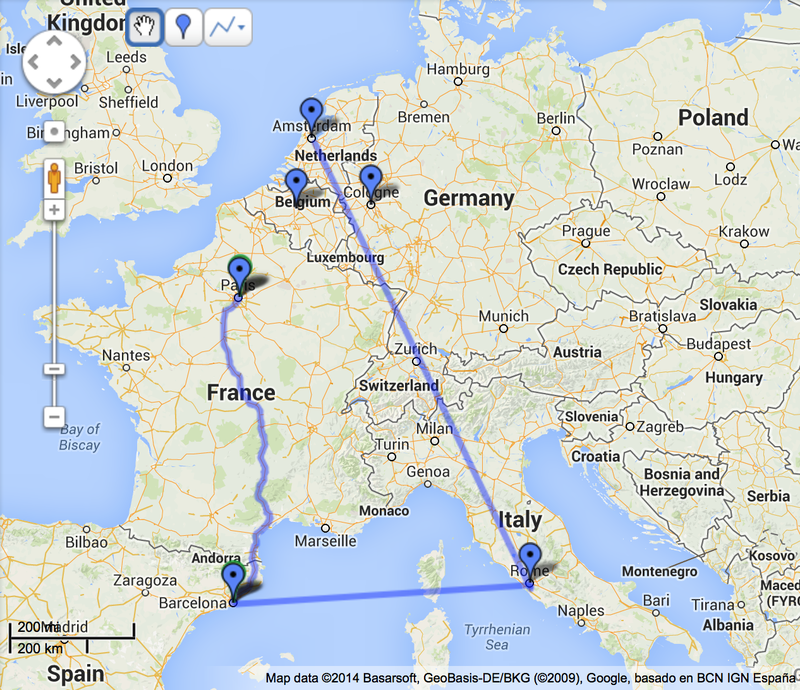 We basked in Rome's sunshine for 3 days and proceeded to the damp north after. 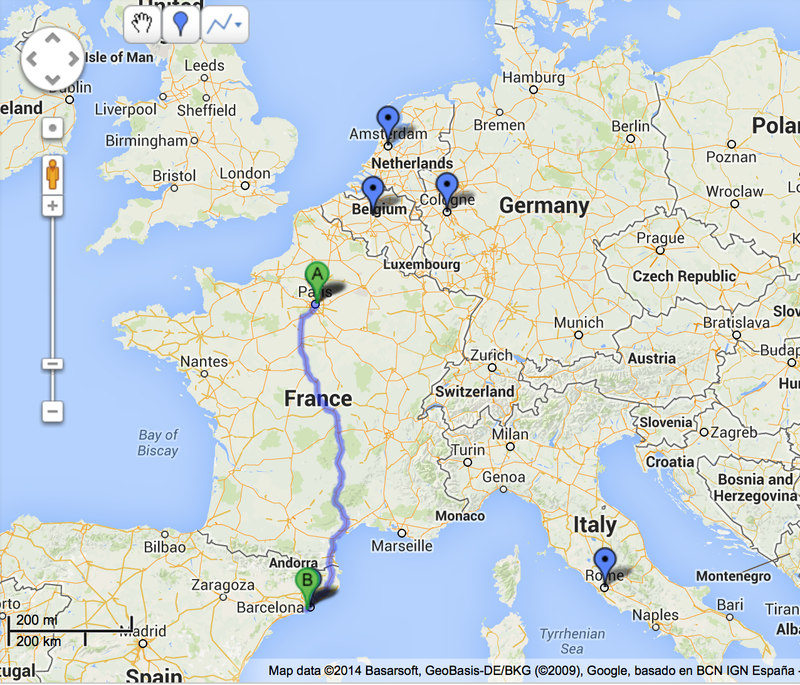 Due to time constraints, we dropped the idea of the breathtaking scenic train travel crossing Italy to Switzerland. It was the same disappointment when I had gotten an aisle seat in our Vueling flight and it was too late when I decided to transfer to an empty window seat. I was in ecstasy snapping a few photos just when the pilot announced our descent. !!! Flying over the Mediterranean sea in broad daylight! How could I miss that? This early morning flight required us to leave Rome at 03:30 in the morning because Fiumicino is another city. With no traffic in the road, travel time is around an hour. Because I couldn't imagine hailing a taxi at this ungodly hour, I arranged for a taxi service beforehand and our driver of our overwhelmingly huge car arrived promptly. Luckily, I got a confirmation with them after receiving no availability replies from other shuttle companies. Whew! This is already a very lengthy post so, I am saving the rest of our journey in another post. Just before this post turns into an entry to Wikipedia. Another note with these train and plane schedules, all 6 countries that we visited have the same timezone. It would be far more challenging if it weren't so!